The last reservation of this item will conclude on July 23. For rentals that require shipping or a pickup at a non-headquarter location, please select a later date for your arrival. Headquarter offices are the only locations that can accept a same-day reservation, as transit time is not calculated in this date. The GoPro Battery BacPac V3 for HERO3, HERO3+, HERO4 features 15% more battery life than the V2 BacPac. 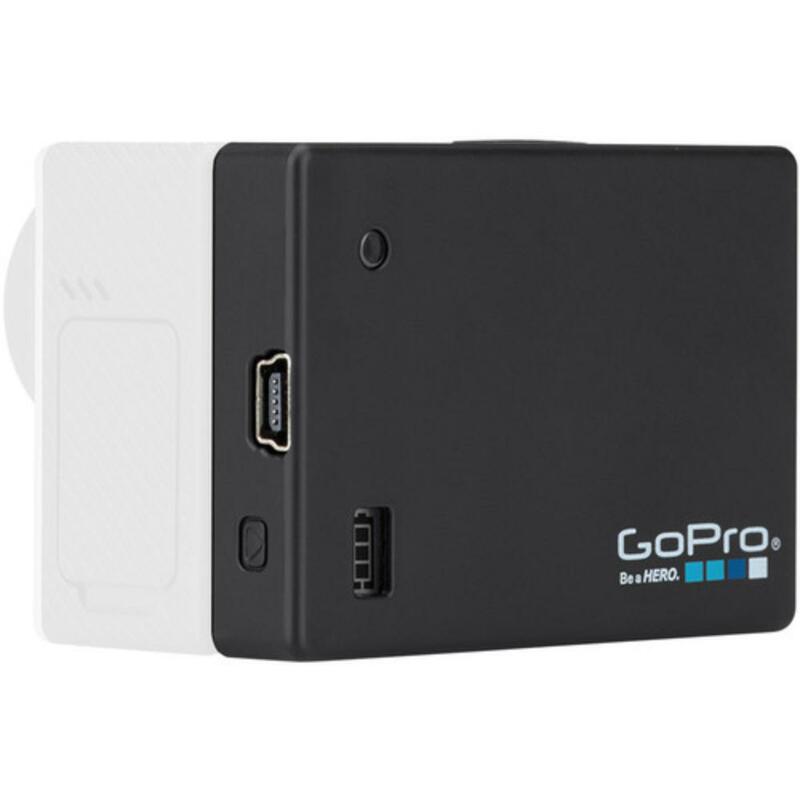 It extends overall GoProHERO battery life and attaches flush to the back of your GoPro camera. An LCD screen tells you the remaining capacity and status of the charge. An LED light indicates when the camera is recording. This BacPac is ideal as a backup battery when out in the field with your GoPro. This battery is backwards compatible with the HERO3 and HERO 3+ as well as being compatible with the HERO4. While this battery is compatible with HERO3 cameras, this rental does not include the extended backdoor for HERO3 casings. Please plan accordingly.